Lift and piste upgrades galore! 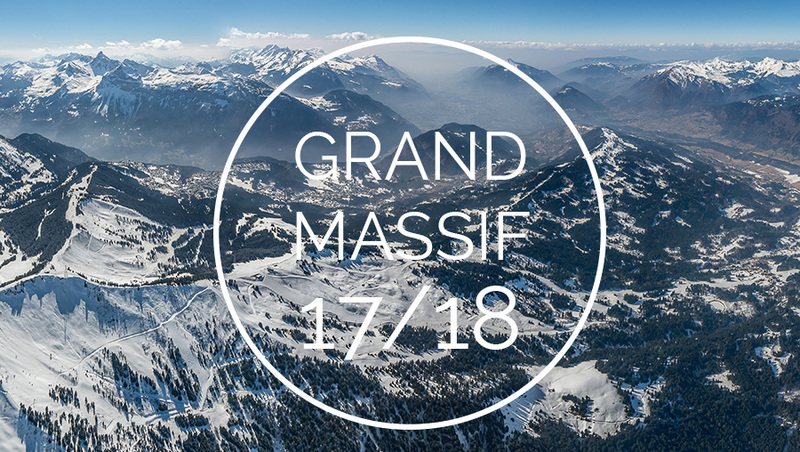 The Grand Massif’s teams are busy this summer working on a whole host of exciting resort upgrades for the winter ahead, including a record-breaking lift, a flattened summit and hectares of new pistes. Creation of 4 new ski runs (2 blue runs followed by 2 red runs for the 2018/19 winter season), equating to the addition of 42 hectares of pistes to the ski area. New 6-seater, detachable Coulouvrier chairlift, departing from 1200m and arriving at 2120m. With a record length of 2850m, this will be the longest lift of its kind in Europe, transporting skiers in just 10 minutes at a rate of 3000 passengers per hour. Development of the snow-making network with the implantation of 70 new snow canons to cover the new ski area. Extensive landscaping of the Tête de Saix summit is being undertaken in order to improve the flow of this vital intersection zone. The goal is to improve safety for skiers traveling between Flaine, Les Carroz, Morillon and Samoens. The transformed landscape will offer fabulous 360 degree views over the surrounding alpine landscape. In Veret, a new 110,000 cubic metre water reservoir will be created to feed the area’s snow canons and enhance natural snow on linking pistes. Carefully integrated into the natural landscape, this reservoir will increase Flaine’s snowmaking capacity tenfold. The Grand Massif was awarded “Green Globe” certification in the Autumn of 2016 and is the first resort for the entirety of its services (ski lifts, pistes and associated services). Bravo, Grand Massif! What do you think about the works currently underway? Are there other changes or improvements you’d like to see made to the Grand Massif? Leave your thoughts in the comments section below! what plan is there, if any, to reduce the congestion at the Vernant chairlift which will now become much worse as more people (ClubMed 900) try to ski towards Flaine with the improved access via Coulouvrie liftr? Good question, we’re keen to find out more. Also 2 more ski run links to ski down from Tete de Saix down into Flaine with another blue run link down into Morillon Les Carroz ski area. And the Gron lift upgrading with another ski run link both ways Les Carroz Morillon between. Sounds good, liking your thoughts! With Tete de Saix and Mollietts lifts next to each other, the run down from Les Carroz is a bit of a pinch point on the last section going down and under the road. Before some of the skiers would stop and get the other lifts to Flaine and so it wasn’t so busy. Any chance of another run down to divert the numbers? ?